Jax's Largest Indoor Dog Resort. Perfect Temperature & Weather All Year Long! A dog resort unlike any other! While you are away your pets can have as much fun as you like to have. At Dogtown, we give pets the love and attention they deserve. We have an indoor pool and climate controlled play areas all included with your stay. Our all-inclusive, indoor dog resort in Jacksonville, FL, includes everything your pet needs to be happy and healthy, physically as well as emotionally. So don't pay to play! Let our 24/7 staff care for your dogs. We want to make sure your pet has the best experience possible and we dont make you pay extra to have that happen. The next time you need to go out of town, put up your pet in our luxury dog resort. We give our guests the five-star treatment, offering all-inclusive luxuries like play-time and pool-time. We also have grooming services available through our dog spa. So save so time, and have your pet groomed while they are in our care. Our attentive staff will ensure that your pets receive the exercise and stimulation they need for the duration of their stay. We also have on-site veterinarians that are more than capable of caring for your pet too should you need check-ups or need medicines administered to your pet during their stay with us. Rest easy knowing your furry friends are in caring hands at our pet resort. Guests stay indoors for the duration of their stay, so you don't have to worry about issues from bugs or weather. Staff members are present 24 hours a day, 7 days a week to ensure everyone is properly monitored and care for throughout the day and night. While some office may close on certain days, our office is also open daily from 7 am to 7 pm, so you're free to call or visit us during the day to check on your pet. You wouldn't just leave your pet with just anybody. When you're looking for dog boarding, you want to know that your pet is looked after by someone who knows what they're doing. Have peace of mind that your pet is in the best care when you leave them at our all-inclusive pet resort. We're members of the Dog Gurus and the International Boarding & Pet Services Association (IBPSA). 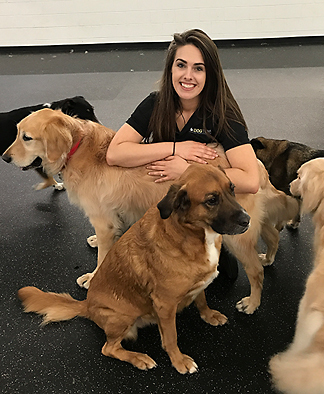 These not-for-profit organizations set the standard in pet care, providing ongoing training and education all over the world. With these certifications, you can be confident that your pets are safe and well-looked after when you entrust them to us. Whether you need temporary dog boarding, regular dog daycare, or want to treat your dog to a spa day, you can rely on us for all of your pet's needs. The health and safety of your pets are always our top concerns. We're happy to note any of your pet's special needs, and we will ensure they are properly taken care of. Expect your furry friend to be happy and refreshed when you're ready to take them home. Contact us to schedule your dog's stay. Located in Mandarin, we proudly serve the surrounding Jacksonville, Florida, area, including St. Johns County, Switzerland, Julington Creek, Switzerland, Fruit Cove, Southside, San Jose, San Marco, Ortega, and Orange Park. Office Hours: Daily, 7 a.m.–7 p.m.